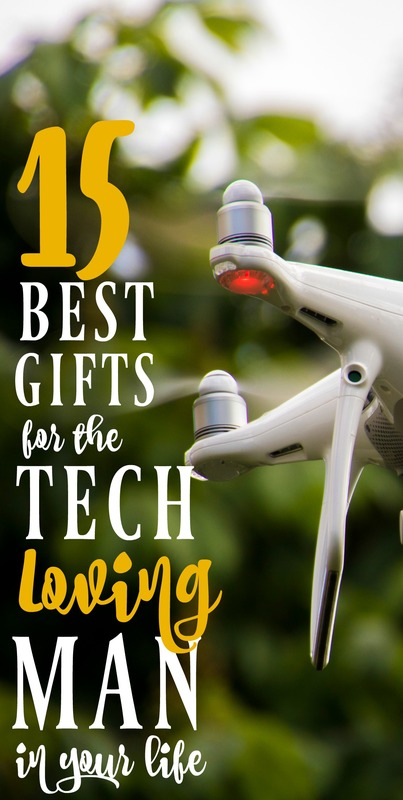 There’s one tech gift that tops them all these days – a drone! More than just a remote helicopter, these drones actually have cameras. That means they can be used for way more than just playing around (and I’m not talking about spying). You can take pictures of your house from the air! If you’re looking for a techy gift that’s just a lot of fun, this is it – virtual reality goggles! Virtual reality goggles are the new age of video games, so anyone that spent a portion of their youth playing Mario Brothers will get a kick out of what’s possible today. The most popular game this Christmas is definitely looking to be Red Dead Redemption 2! Some RDR2 cheats have already been created too to speed up the game and unlocking extra content. Why not looking into buying Rockstar Games’ newest release in order to keep up with the gaming gossip! And surprisingly, these don’t break the bank! I got this watch for my husband last year for Father’s Day and he recently told me it was his favorite gift of the whole year. And since the iWatch just came out, your tech loving Dad (or husband) has probably been eyeing up a gadget like this anyways. The Pebble luckily is way cheaper than the iWatch and does pretty much all of the same things (a lot of people think it’s way better). And if you ask me, it looks a lot nicer too. Plus they just came out with their latest version – the Pebble Time Round – and it looks awesome! 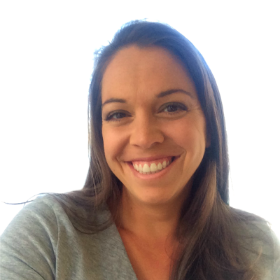 I was on a waiting list for the Amazon Echo for ALMOST 6 MONTHS! But it finally arrived (in time for Father’s Day) and it was a huge hit. It’s a lot of fun to mess around with (of course – it’s a robot!) and it’s also really practical for playing music and answering questions when you want to be hands-free (like cooking or playing around with the kids). My son has picked up on the functionality too – one of his first words was Alexa (Echo’s name). The Amazon Dot is Amazon’s newest release and it’s a smaller, more compact version of the Echo. There are two big differences between the Echo and Dot – 1. The Echo is taller and has a higher quality speaker, and 2. The Dot is a fraction of the price of the Echo. Reportedly, the speaker is still pretty good with the Dot, so as far as the best value is concerned, it’s your best bet. But if you still want the best of the best, you may want to cough up the extra change for the Echo. This is the ultimate high-tech gadget for any man with a car (seriously). The Automatic car adapter connects to your car and basically tells you anything you need to know about your car from your phone. It has a GPS locator, so it can tell you where you’re parked (or where your teenager is if they’re driving your car), it can tell you exactly why your Check Engine light is on, it will remind you to slow down if you’re driving over the speed limit, and can provide assistance if you’re in a car accident. The app that connects to the adapter is free, so you’ll also be constantly getting new services as they’re developed. This speaker wirelessly connects with your phone to play whatever music you want to listen to. It’s a tiny little gadget with great sound that can go anywhere. We have one and use it ALL. THE. TIME. Outside, inside, you name it. It’s amazing. It’s normally $100, but you can get it off of Amazon for $25. Quite a steal for something this cool. I just told you how cool the normal bluetooth speaker is…now, what if I told you that you could suction it to a shower wall, boat, or pool? Until I discovered this awesome gadget , we just left our classic speaker outside of the shower (which still worked great). But as with all tech gadgets, it’s way better if you own multiple devices with their own little functions (plus, you can get this one for an even better deal on Amazon – I was able to get my husband one for $15). My entire family has Fitbits and we’re all obsessed with them. They’re basically a wristband that tracks your steps so you know how active (or inactive) you’ve been. If your dad is a techie and active, then this is the gift for him. You can also compete with other FitBit-ers, which is amazing motivation when you’re trying to keep moving. These are for the tech loving Dad who also wishes he was James Bond (which I think goes hand in hand). Because who doesn’t want a secret flash drive hidden in their cufflinks? You never know when you’ll need to exchange files during a black tie event…or maybe just a great conversation starter (that in itself is a great gift for a Dad). This is a pretty unexciting innovation that will eventually transform one of the most dreaded dad chores: changing batteries. These rechargeable batteries still need to be recharged once they’re dead (pretty obvious with the name…), BUT you will never have to buy new batteries again! Just recharge. 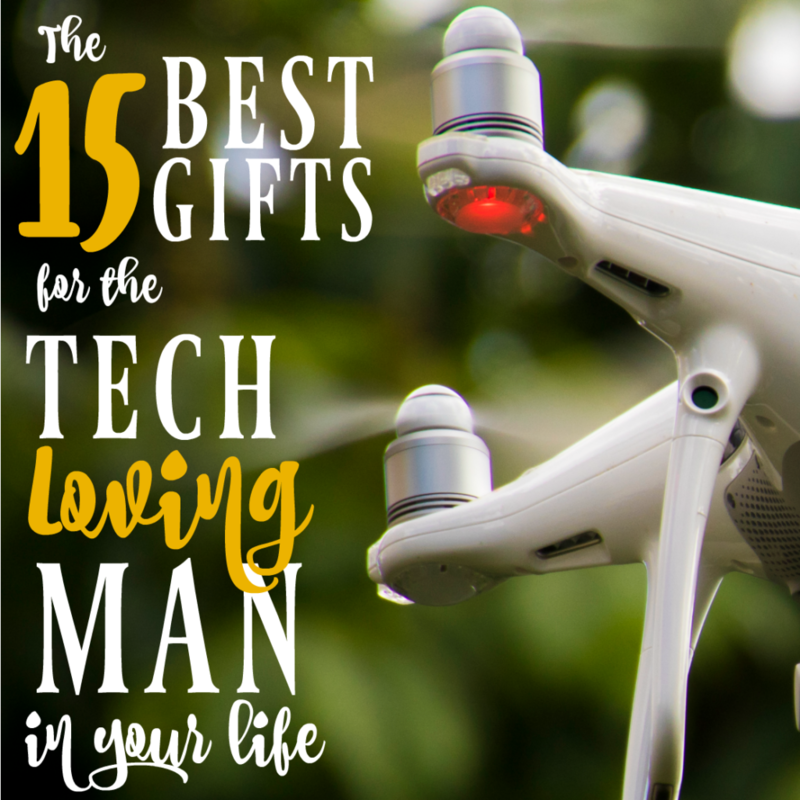 Your tech loving Dad might not be a fix-it Dad, but his tech gadgets certainly come with a few requirements – like micro-screws and super-strong bindings and a range of other things that all require special little tools. These micro multi-tool gadgets are small enough to keep in a laptop bag or office drawer (and another great gift under $25). It took some teeth-pulling to get my Dad to list his favorite tech gadgets under $25, but once i did, this was the #1 winner. This was another great suggestion that came straight from my Dad. I knew instantly it would make the list because my husband has a collection of noise cancelling headphones . Ironically, these are one of the priciest gifts on the list so it may be something to save for another occasion, but if you’re willing to spend on a decent pair, your Dad will love them! I’m not quite sure this gift has a technical purpose, but it is one of the greatest novelty tech gifts for the Dad (or husband) that has everything. They are basically gloves that work as a phone . You literally connect them to your phone wirelessly and talk through them as if you’re holding a pretend phone to your ear. My Dad has a pair and has a great time using them (this is another gift perfect for the James Bond-loving man). By this point you’re Dad probably already has a roku or Apple TV or one of the various competitors. But THIS Roku plugs in like a flash drive…which means it’s totally portable. I got this for my husband for his birthday and he’s been able to bring it with him when he travels and just plug it right into his hotel’s TV. It’s an awesome tech device if your Dad likes to travel. I have had Amazon Echo since December and I love it! We use it mostly for music but they are adding new features every month. It is the coolest gadget in our house. That’s so awesome to hear!! I can’t wait to give it to my husband 🙂 I can’t believe you got yours in December…you must know someone 😉 I thought I was on top of the ball!